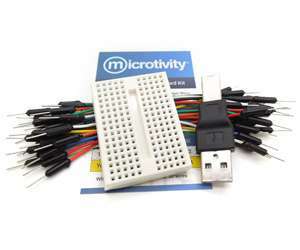 Why Mini Breadboard kits: The included jumper wires allow you to connect different components conveniently. They are in different colors and therefore so it will be easier to trace the circuit. The small breadboard is prefect for creating small circuits, to act as a peripheral circuit of a main system, and many other ways. They are also excellent to be used in size-constrained environments such as placing it inside a box.